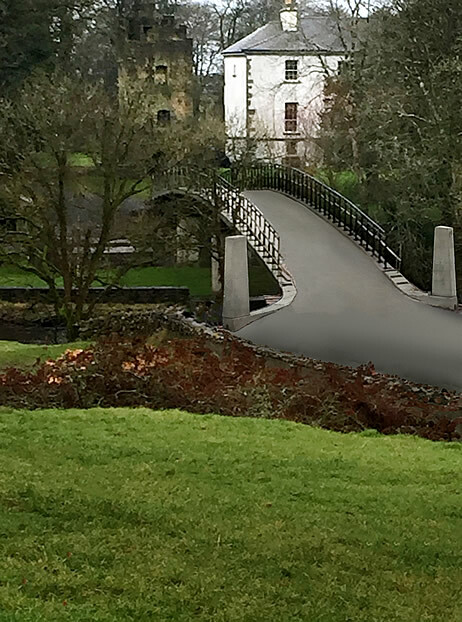 Set amid woodland and beautifully gardens, the property is encircled by a fast flowing river. This elegant family home combines 18th century architecture, fine plasterwork ceilings and marble period fireplaces with the ultimate in 21st century comfort. 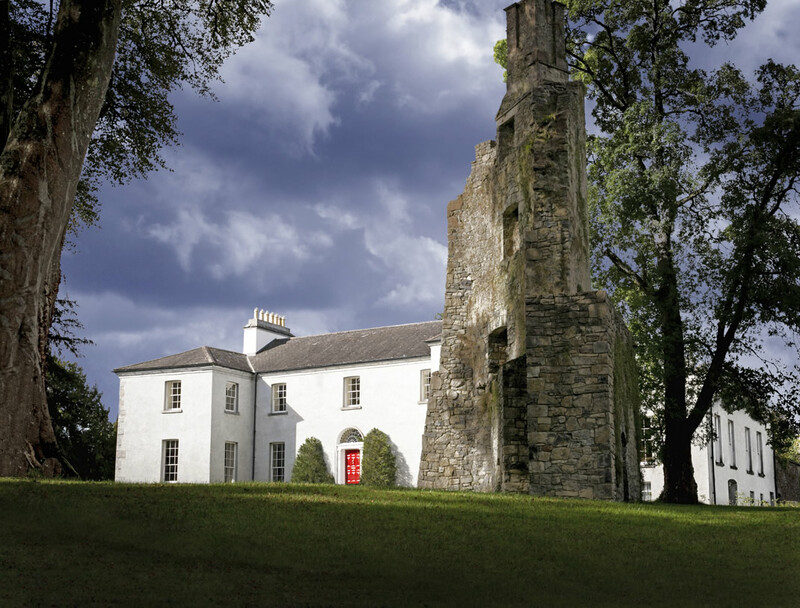 Castlecoote house holds lectures, the annual Percy French Festival, provides accommodation, and is also available for hire (please contact us). 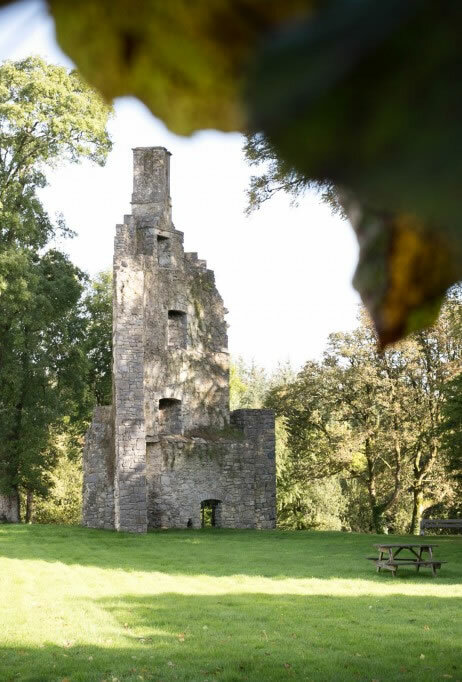 Castlecoote House is situated on the site of a medieval castle, thought to have been built between 1570 and 1616. It was a strategic site, and may have been the base of the Chieftains of Fuerty, the MacGeraghty clan. 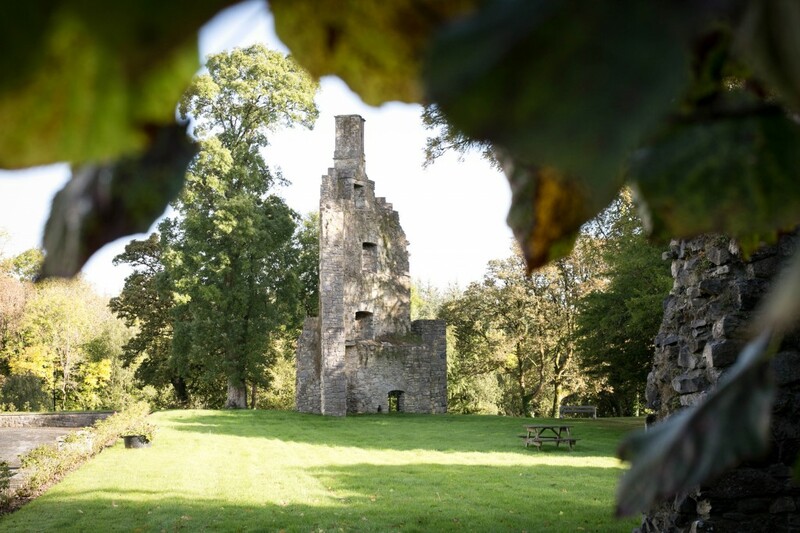 In 1616 it fell into the hands of Sir Charles Coote, who improved and refortified the castle. The castle was attacked three times by the confederate forces in the 1640’s. The house was built in the second half of the seventeenth century, within the enclosure of the old castle which had by now fallen into ruins. In the basement tower rooms, musket chambers still overlook the entrance steps. In the 18th century the property passed into the ownership of the Gunnings, rumoured to have won it in a poker game. The two Gunning sisters, who were later to become the Duchesses of Hamilton, Argyll and Coventry, were renowned for their beauty. Their portraits, painted by Joshua Reynolds, can be viewed in the main hall. In the 20th century, the house was owned by Henry D. Strevens, a noted equestrian. 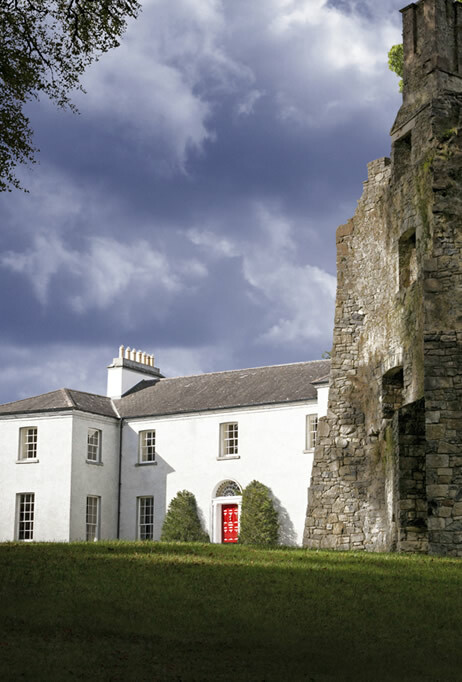 The present owner bought Castlecoote House in 1997. The house was a cavernous ruin, with no floors, no ceilings, no stairs, no windows and crumbling interior walls. The entire basement was submerged beneath the earth and the main entrance steps had collapsed. The restoration work has taken five years and included underpinning the foundations, consolidating the castle towers, rebuilding the mill race walls, landscaping the grounds and restoring the ceilings and ballroom to their former splendour.